When investors ignore bad news, it is normally a sign of an impending rally. 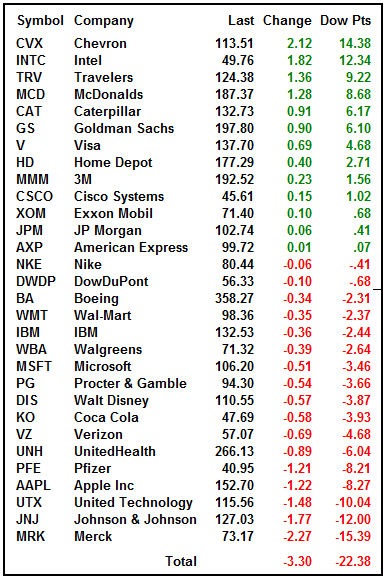 Thursday's flood of negative headlines may have kept the Dow from posting gains but there were several laggards. JNJ and UTX were both suffering from post earnings depression. Merck was down on a deal to license Vertex. Investors do not like drug companies giving away their royalties. Apple was down on continued worries over earnings as analysts continue to lower estimates. On the positive side Intel added 12 Dow points on various analyst comments. The reported earnings after the bell and missed on revenue and fell -$3.50 in afterhours so that will erase 20 points on the Dow at the open.